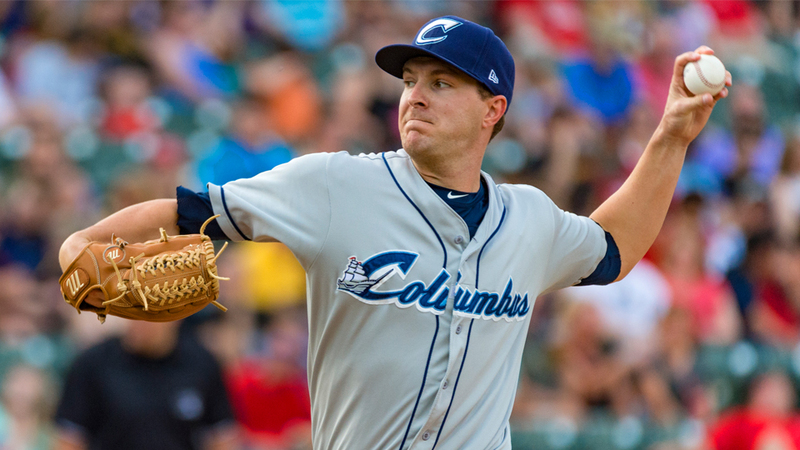 The Columbus Clippers knocked off the Toledo Mud Hens in the finale of their four-game series, 4-2, tonight at Fifth Third Field behind a gutsy start from Adam Wilk. It was a must win situation for Columbus, because a Toledo win would have hopped the Mud Hens over the Clippers for first place in the International League wild card race. Thanks to Wilk's big day, the Clippers maintained a hold on the top spot, though. Wilk grinded out seven and two-thirds quality innings of six-hit baseball. He surrendered only one run on a Christin Stewart RBI single in the first, but buckled down after that, walking and striking out three. Though the Clippers found themselves down early, they hung around long enough to find life in the sixth. Adam Rosales put them on the board with an RBI single, and Eric Haase promptly took the lead with a sacrifice fly. Ahead 2-1, the Clippers loaded the bases for Bobby Bradley in the seventh. He came through, adding another sac-fly to extend the lead to 3-1. Wilk then escaped a jam in the seventh inning with a big strikeout before finishing his day by retiring the first two batters he faced in the eighth. Jon Edwards took over for Wilk and finished the eighth with a strikeout. Rosales came up big for the Clippers again in the ninth, scoring Oscar Mercado, who led off with a triple, with a sac-fly to make it 4-1. Pete Kozma cut into the Columbus lead in the bottom of the ninth inning with a two-out RBI single, but Josh Martin would close the deal for the 4-2 Clippers' win. The Clippers will head home to face off against the Louisville Bats in the first of a three-game series tomorrow at Huntington Park. First pitch is set for 6:35 p.m.